It is our pleasure to announce the expansion of Almar Laminating Corp. (ALC) to include coverage of the Tri-County Area. For years, ALC has focused primarily on international companies with limited local business. We have now established a new office in Florida specifically designed to serve Miami-Dade, Broward and Palm Beach Counties. As part of this expansion, we have also launched almarlaminating.com to better serve our existing customers and to make our extensive product line available to customers outside our local trade area. While maintaining large volume buying power with our export department, we have the ability to offer reduced pricing on our product line. 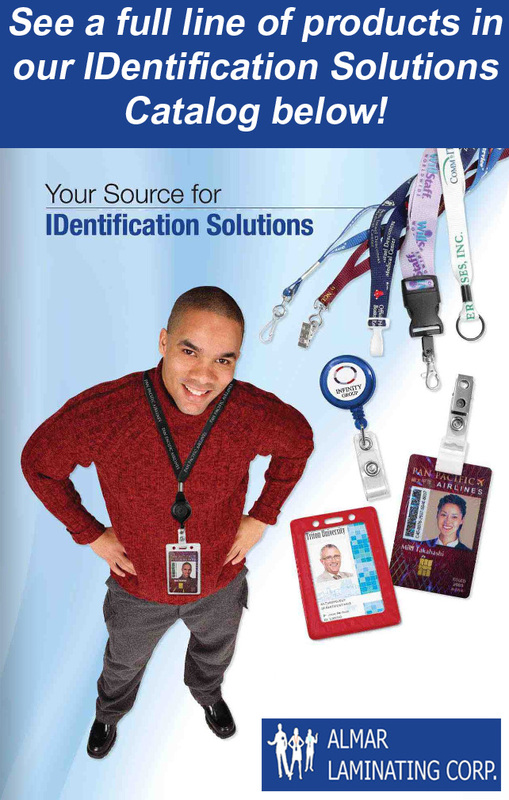 You will find a wide range of identification solutions for almost any application. In addition, our new division offers full service identification card printing, with on-site service available. Most items in stock will ship within 48 hours of order / payment confirmation. Certain exclusions apply for limited items. No refunds allowed. Returns will be treated as exchanges for identical merchandise only, IF the merchandise is defective/damaged upon arrival to customer. The customer has FIVE (5) days to notify us that the merchandise arrived defective/damaged.